Gelato Prophy Paste with fluoride (1.23% fluoride ion) contains a unique blend of cleaning and polishing agents. Gelato Prophy Paste was reformulated prior to this evaluation and is designed to apply smoothly without splatter and rinse easily. It is indicated for application during standard cleaning and polishing dental hygiene procedures. Gelato Prophy Paste with fluoride delivers a wide variety of flavors including pina colada, orange sherbet, mint, cherry, bubble gum, and raspberry in three grits (fine, medium and coarse). Gelato Prophy Paste is packaged in 200-count boxes of individually sealed, single-use cups. The manufacturer recommends the use of fine grit for gentle cleansing and polishing and for use with children; medium grit for normal plaque removal, cleaning and polishing; and coarse grit for medium to heavy plaque and stain removal. Dye-free and x-coarse varieties are also available. 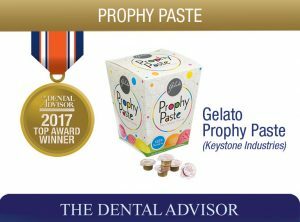 Gelato Prophy Paste was evaluated by 35 consultants in over 2500 uses. This prophy paste received a 91% clinical rating. Gelato Prophy Paste offers a variety of flavor options that are enjoyed by patients. The paste has a creamy consistency that is easy to pick up with the prophy cup and spreads smoothly on the teeth without splatter. Unit-dose cups are color coded with flavor labels that are easy to read. 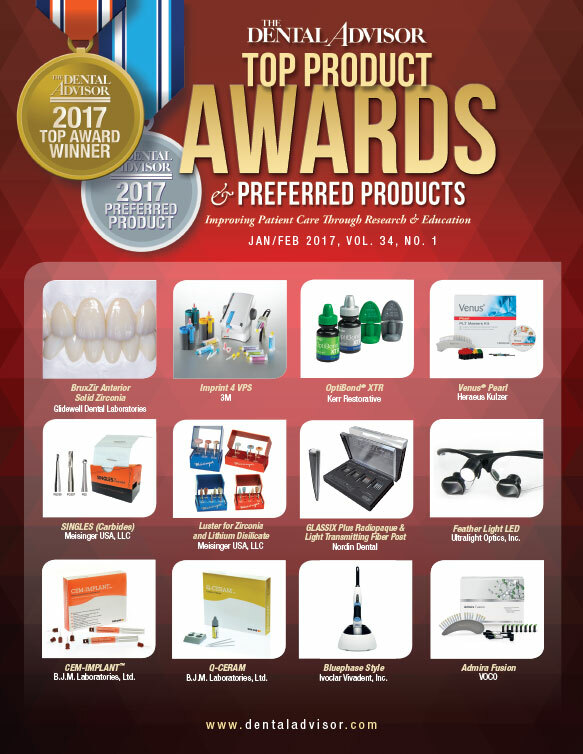 Sixty-three percent of consultants would switch to Gelato Prophy Paste, and 80% would recommend it.